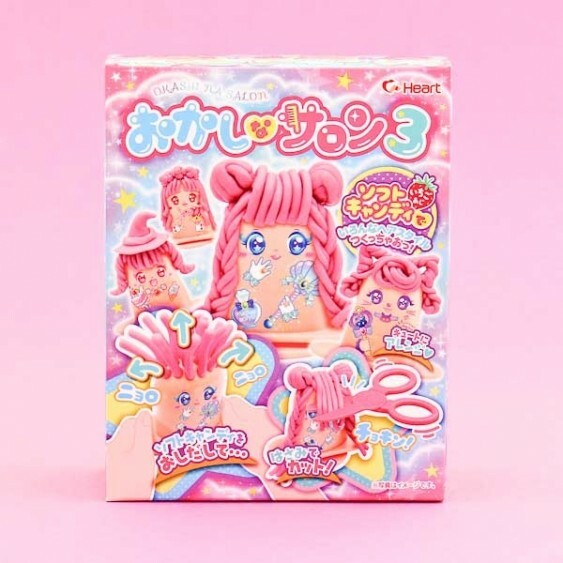 Create your own kawaii toy with edible hair! Use the included tools and your imagination for a fun candy-hair styling. 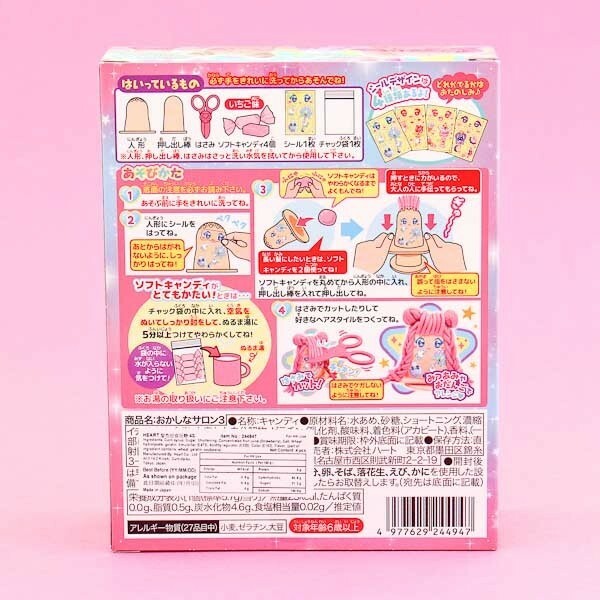 The package comes with all the necessary equipment & has illustrated instructions on the back of the package. You only have to melt the hard candy until soft to use on the toy. 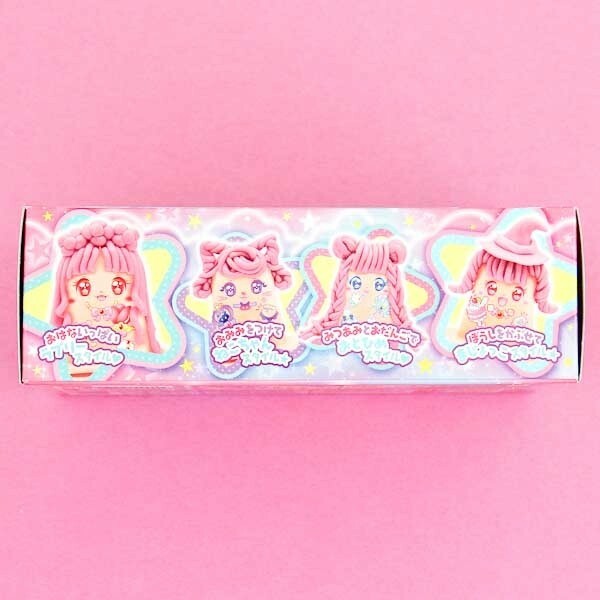 One package includes a doll puppet, a candy-pushing stick, scissors, 4 pieces of hard candy, face sticker sheet & sealable bag. Fun to make with friends and by yourself!